Welcome to Fell View Cottage where holidays to remember really do come true. To ensure you have a wonderful holiday, a welcome tray is provided on arrival, a detailed holiday guide of what to do in the area and a file of local walks, some right from the front door. Also all your bed linen is provided and the beds are made up and waiting for you. Fell View Cottage is warm and comfortable and a real home from home with everything you could need. 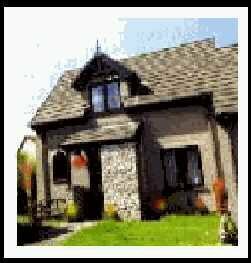 Many visitors return year after year because this is such a great location for exploring the southern lakes and a lovely cottage to use as a base. The whole cottage was refurbished in 2002 and well looked after by the caretaker. There is a comfortable through lounge with rocking chair and cottage suite. The dining area seats up to five people and overlooks the patio garden. Both bedrooms are colour co-ordinated and have plenty of storage facilities. One bedroom has a double bed and the other bedroom has three single beds. The bathroom has a bath, shower and shaver point. There is also a downstairs cloakroom with toilet. The garden is ideal for relaxing in and having a quiet drink in the evening. The whole cottage is clean, comfortable and made for rest and relaxation.